The Apple iPad does not support tethering with iPhone officially, but tethering is possible with an application for iPhone, although it works only for jailbroken iPhones. 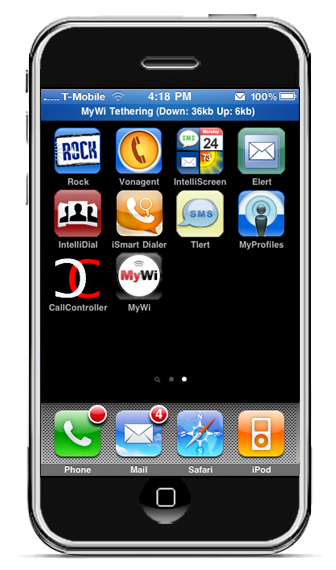 MyWi from RockYourPhone, is an iPhone app that turns your iPhone into a wireless router. It works with all the models of iPhone- 2G, 3G and 3GS. The process is simple. First jailbreak your iPhone. You can find a step by step guide here: Jailbreak iPhone using blackra1n. Then buy and install MyWi from Rock Your Phone.It costs only $9.99. Then configure the app – enable WiFi tethering, setup WiFi name (SSID) and security and you are good to go. 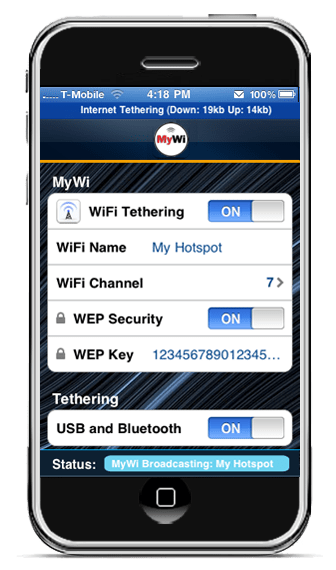 MyWi can be used to tether iPhone to any other device as well. You can use your iPhone as wireless router and any gadget that is WiFi capable can connect to it. Great article with excellent stuff..
Keep Your Good Work Going..